Anara's Primary Playroom Mama Say What?! | Mama Say What?! Mama Say What?! 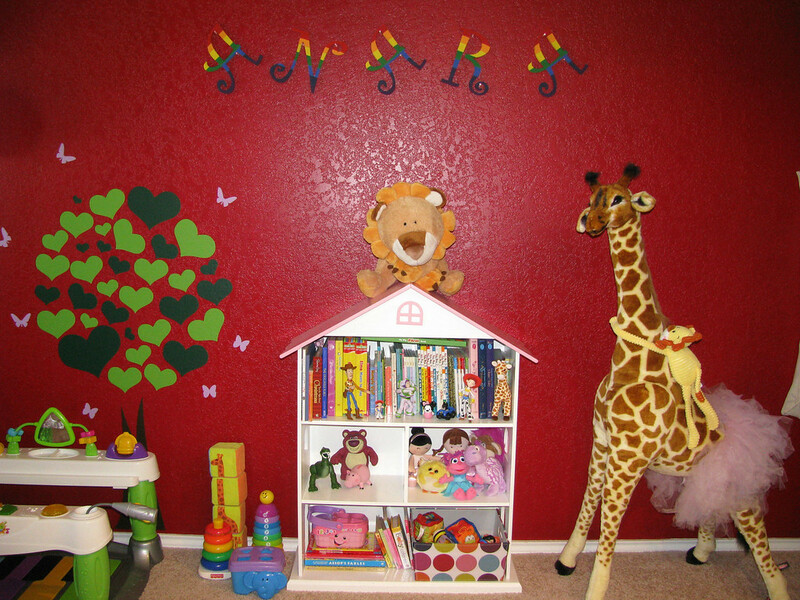 reader Debbie and her husband decided to dedicate a whole room for their daughter’s toys and fun time. Debbie has so many great ideas on how to utilize space and make a fun room for your little one without going overboard on a theme. 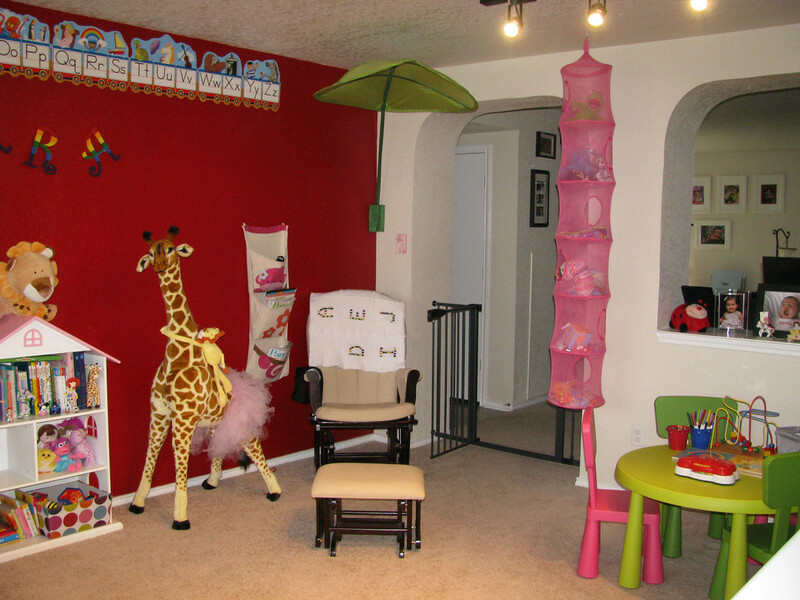 What inspired your playroom design? Did you have a theme in mind when the project began? What did you use for inspiration? Did you do it in your head? As you went along? Or did you have an organized system with inspiration boards? 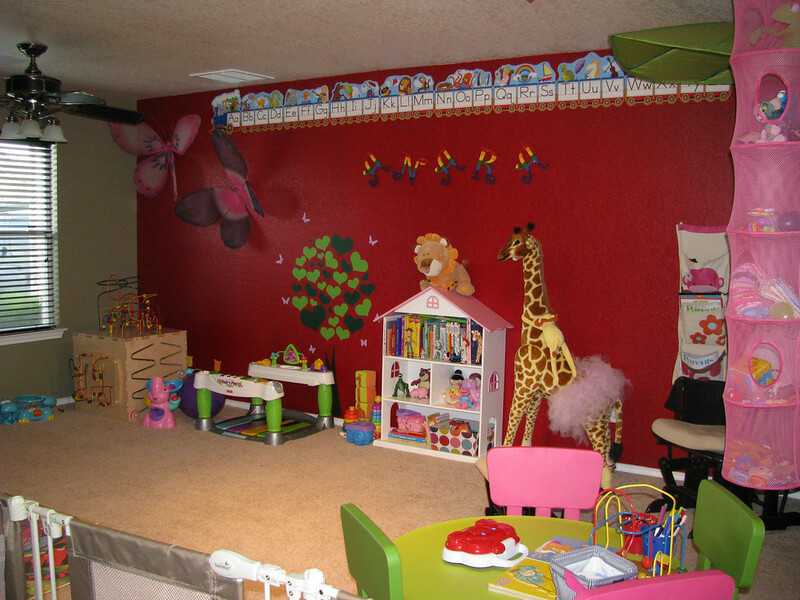 I searched Google Images for playrooms for weeks and there was nothing that absolutely spoke to me, but I did like bits and pieces of many. There were some that were amazing— and very organized— and centered around a specific theme; but I wanted to avoid that because I don’t like feeling restricted to any one theme. I want to feel like I can throw anything into her room and it’ll be fine. What are the colors of the room? The colors are mostly bright primaries. The colors on the walls (one red and the others an earthy greenish color) were already there and we didn’t want to repaint. Sometimes I wish I had, but overall I’m happy with the way it is. Maybe when she’s older, and if SHE wants different colors, then we’ll repaint. What are some of the storage solutions that you utilize? We have a toy hammock in one corner for her larger stuffed animals, a bookshelf for her books and some small toys, hanging wall pockets in “my” corner where I keep my Parents magazines, and a hanging storage piece from Ikea where we keep small toys. We also have random baskets and totes around the room. Were you on a budget? We didn’t have a set budget, but we tried to keep all costs to a minimum. We didn’t always succeed because we got caught up in the excitement and saw something that our baby just “had” to have, but overall, we found great deals and some of the items were gifts. My favorite part is “my” corner where I sit in my glider and watch her play until she lets me know that she wants me to play too. What is Anara’s favorite part of the playroom? She has always loved the bookcase because she likes to pull everything out and off the shelves. 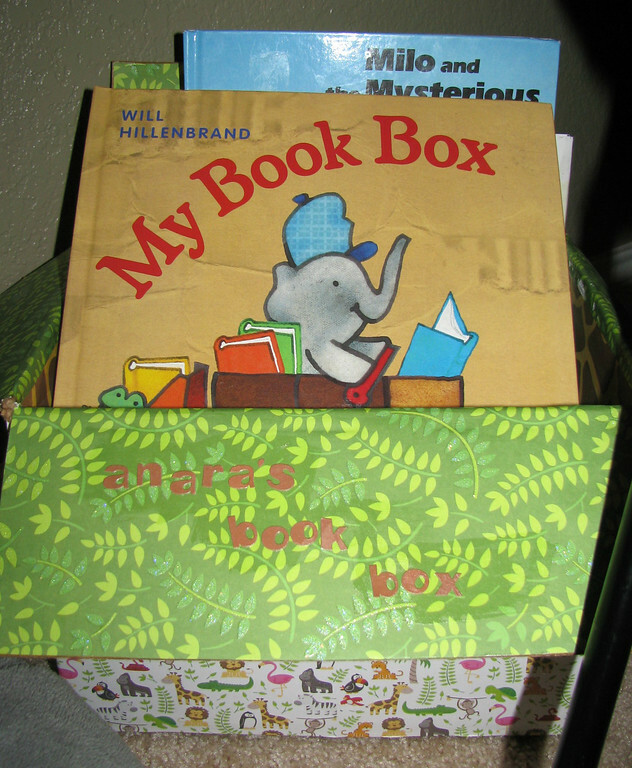 She also has a “book box” in another corner next to a big fluffy pillow that she loves to lay on and flip through her books. While she roams around and enjoys the whole room, I’d say the areas with books are her favorite. Can you give advice to MSW readers on how to create an awesome play space for their little one? All I know is that she knows that the room is hers and she enjoys having domain. 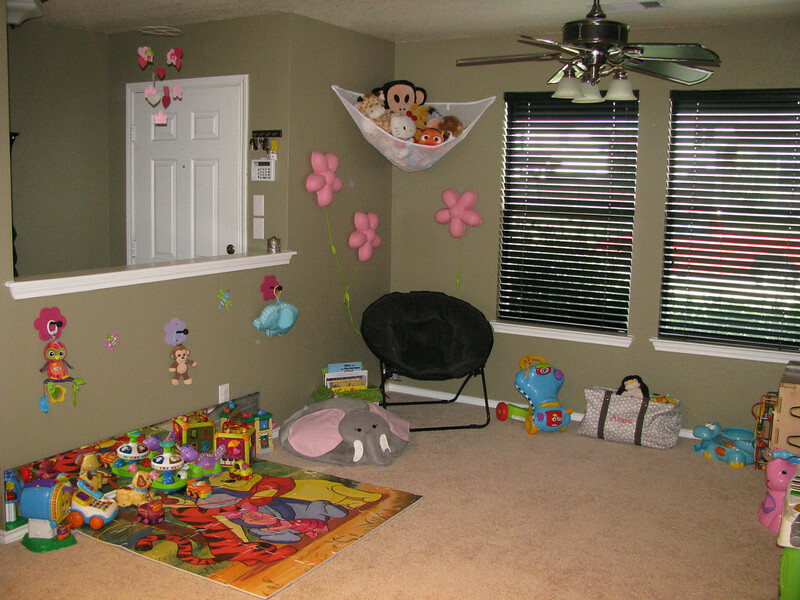 And I feel at ease with the room being enclosed and “baby-proofed.” I like to observe her in different play environments and see what she’s drawn to so that I can incorporate that into the room. It has already changed a lot over the course of her short life. Both the dollhouse bookcase and elephant pillow were purchased at Target. The alphabet wall display is from Lakeshore Learning. The letters for her name were bought in raw wood from Hobby Lobby and hand painted.